Shaun Chasin, a Canadian film and game score composer, graduated from Berklee and the University of Southern California in with degrees in television and film scores. After studying under composers like Garry Schyman and Bruce Broughton, Chasin has developed a sound that combines fresh, live instruments alongside synth sounds to create unique atmospheres to his products while maintaining a balance between acoustics and electronics. This sound is on full display in his latest work Hektor. 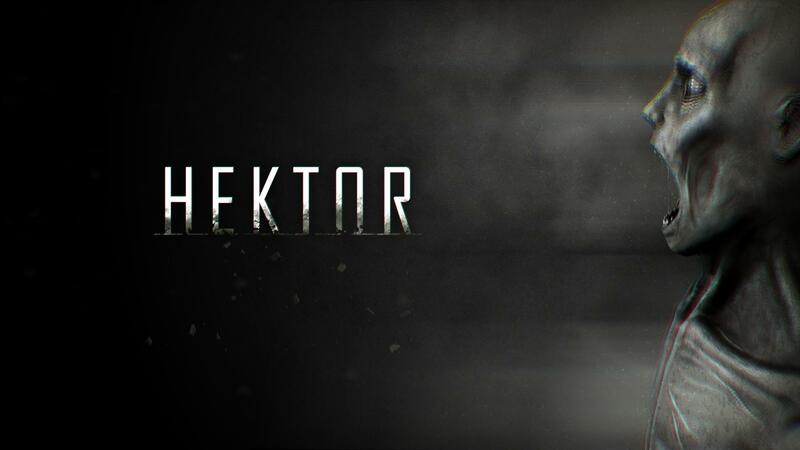 Hektor is a first-person thriller centered around a secretive and defunct psychological research facility, nearly abandoned except for a few ghosts, a horrifying predator, and the player (you), a victim of the facility’s research methods. These research processes have altered the player’s perception of reality so as to make navigation through the game more difficult, so that the player’s view is often dizzyingly distorted and discolored, and the player frequently slips into “dream” states that reveal more and more of the facility’s history; the player regularly relies on pills, found in various points in-game, that stabilize the view for easier navigation. The player is also guided by the voice of a former coworker — and fellow test subject — throughout the game. 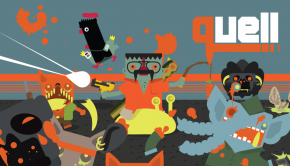 In this interview, Chasin discusses his recent role in the creation of Hektor, as both a composer and a vital member of the small-group team behind the psychological horror game, as well as his philosophies on the development of game music over the past decade. 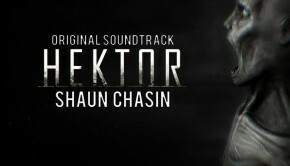 During the creation of Hektor, Chasin was not limited to only composing the score, but also contributed the sound effects and even wrote some of the dialogue for the game. Emily: One thing I noticed with Hektor is you went down the thematic route, which isn’t what people tend do with horror games, or any kind of psychological thrillers. Shaun Chasin: There’s some of that — for long exploration stuff, like when you’re walking around in Act I, there’s a lot of material sort of like an ambient horror track. But the thematic moments come and go. I had a great teacher in undergrad at Berklee, Michael Sweet (he did the Xbox 360 startup sound back in the day). One of the things he told me about was that for looping exploration stuff, maybe have musical events that come in to interrupt the loop and let it just cycle around with the ambiance. What will end up happening as a result is that you’ll accidentally hit things in-game, like an accidental walk-in into a new room, and the music will change right when you walked in. Sometimes that’s planned — often it’s planned — but other times it’s just in the loop. People will think, “Oh, that’s significant!” and derive all this extra meaning from the moment in game that may or may not be important. But once in a while, it works out super well, so it’s a fun thing to add. Emily: Having worked closely together with the developers throughout the process, how did the storyline inspire your musical approach? Shaun Chasin: Well, the thing about thematic writing is that you can really tie things together story-wise. For example, the dream has its own sonic palette. For one of the instruments, I just started banging a wineglass, and it made this sound like a bell organ. From this, I created a Kontakt instrument that I could then play melodies with. You only ever hear it when you’re in the dreams. There’s a part where you’re transitioning to the dream in Act I and again later when you’re about to get smashed by the sniper dude. In both times you hear it, your brain will always pair the sound with the dream. The Predator has a theme with this low, rumbly sound, where I took a harmonica, slowed it down, and reversed it, so you end up with this terrifying grumble-growl sound that you only ever hear it when he’s around. It’s one of those things where people are smart about this, and they’re very quickly able to pair it together. So the thematic route is one of those things where it works in film scores, so why not in games? [laughs] I don’t know if I’m answering your questions or going off on tangents! Emily: You are, you are answering them! And in terms of sound, you strike this delicate balance between beautiful, melancholy thematic elements and descents into this screeching sound or little atonal pieces here and there. How do you do this while still keeping a form to it overall? Shaun Chasin: Right, and that’s how the themes can really help: they tie it all together. So even though it can be super chaotic, you still have that melody which keeps it from sounding random. Even though you may have very random-sounding atonal string writing, you still hear something to latch on to. You can hear a context, and a reason why, and stuff like that. Emily: It feels very cohesive in the end. I think that’s because part of what the game is about is that things are changing while you’re in the middle of it: you’re walking down a hallway, turn around and suddenly it’s not a hallway anymore. So when you’re talking about, for example, inserting that theme into the loops, it works within the context of the game, because even though there hasn’t been a specific event, the in-game content has just changed. Shaun Chasin: Right! Exactly, exactly. The other thing is that because musical elements are coming in and out, if you were to just sit with the game and record the music through it, you would actually get a different musical performance — a different musical outcome — than another player would. It would all be the same stuff, but it would be different every time. And then, of course, there is the stuff that is planned. So for example, each of the levels has an explore layer and an intense layer. So in the first act you’re wandering around and you need to find the tape, and the moment you find the tape and put it into the machine — the very second you put it in — an additional intense layer fades in, and then you hear the percussion and the strings get a little more dramatic. Emily: Yes, I noticed that. Shaun Chasin: Then when you go outside and you see the ghost girl there who sort of waves at you for a second, there is that little piano stinger for a second, right when you see her. The piano is meant to be a little indication to the player subconsciously that she’s a friend or someone you care about. You hear the piano at one other point in the game. Because the piano stinger triggers when the play sees her, we can ensure that every player, regardless of how long they take to leave that room, will always get that game events scored correctly. That was one of those weird things where we were kind of like, “Well, what if it’s not in time with the music?” and then after playing with it for a time, it sort of didn’t matter. After all, people were going to be scared playing it anyway, so if it was out of time it still worked. So stuff like that that happens is all triggered based on specific game events. Another example is when you open the door and get yelled at for the first time, and then it starts sort of snowing. The explore music fades out and you hear a track called “Act I to Dream I Transition” that fades in, and then the “Dream I” music starts. Emily: You mentioned that you had a lot of roles in this soundtrack and the game itself — you did the score as well as the sound effects and writing one of the character’s lines. For this game in particular, since your vision is impaired like eighty percent of the time (depending on how you play it) the sound actually has a more significant role than it might in other games. How did you take that into consideration while you were working with both the sound effects and the orchestra? Shaun Chasin: Well, some things really just happened out of total need. So for example, you’ll notice that as you’re becoming more insane in the game, you hear more of what we called the insanity layer, which is an ambient noise music track. This five minute track is designed to play over any of the music. That came out of this need for people understanding when to take their pills. The visual cues helped, but we felt we needed something else. This way, people could tell how wobbly their screen was going to look just by listening. This layer almost always plays in some form or another, but after you’ve taken like five pills and you’re standing there, fully recovered, then it will have a volume of zero. Emily: It would increase dynamically as you needed more and more of those pills throughout the game? Shaun Chasin: Right, right. And then, you’d take your pills, and the volume goes down. We had a lot of things that were just for specific events that would enter when the game state changed, but we also had several musical elements that were always changing dynamically in relation to some thing in game. So we had a layer for when those guys in the game would jump out and just yell at you, we had a layer for that swirling kind of sound when you’re close to them, and so forth. The volume of that audio was literally just tied to your distance from them, so as you were close to them, the volume would be loud, but then decrease if you ran away, so you could literally hear him lurking around a corner. So that was another thing that could go over any of the music tracks. It’s just an ambient little strip, just like the insanity layer, but it was all mostly synth effects. Emily: So it was a combination of trigger points and layers? Emily: You also wrote for a character in the game? You wrote her lines? 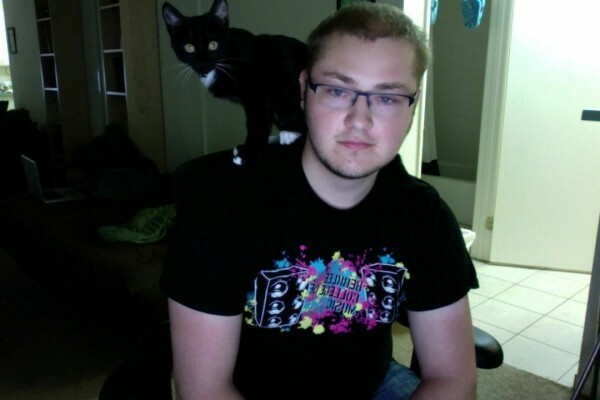 Shaun Chasin: Right, that was the female character in the game. So we had a writer, Sebastian Jones, who we were super lucky to get to work with, who wrote the other characters and notes. We were all very creatively involved in this whole story from the get-go, and of course it’s Felix Nordanåker’s baby — he’s the project lead. What happened was that we got really, shockingly close to the release of the game and had a panic moment when we thought, “Oh no, the story doesn’t make sense!” It didn’t have an arc to it. We knew what was going on because we’d been so involved with the game, obsessing over little details, but if you came out of the game fresh, you’d be like, “What?” — and totally confused, but not in a good, cool way, but in a frustrated way. So I wrote her character to tie everything together. Sometimes we used her to sort of be like a Navi character — like in the Zelda games, “Hey, listen! You’ve gotta go get the tapes!” You know, that kind of thing, for points where play testers were sort of lingering and doddling around. We used her to let you know to get that thing over there — sometimes it was after the character was standing around a while, and sometimes it happens immediately. “We’re going to need more chess pieces if we’re going to play!” She was really fun to write, as she encapsulates the arc over the game — she starts off as this sort of as this sane office worker, and then she gets totally broken. If you look actually when you’re getting your notes, and the last one of her notes is called “Mission Ready,” at the point where she’s been totally brainwashed. Emily: How did you record her lines? Emily: When I was playing the game, you’d told me that it was a very small team — I think you said it was five people? Emily: I was really impressed by the voice acting in general, both with her and with the doctor, who first speaks at the very beginning. Emily: His voice is so weird and creepy and soothing but also so disconcerting at the same time. Especially for such a small team, that was impressive! Shaun Chasin: Yeah, we were just stupidly lucky to get him — that was Alan Shearman, who is a real person! He was a voice actor for Happy Feet and World of Warcraft. He was also holodeck character in an episode of Star Trek: The Next Generation, in the episode “Elementary, Dear Data.” I’m a huge Star Trek fan, so having a holodeck character walk into my apartment (because we recorded it here) and use my toilet was just like, “oh my god, a holodeck character is in my washroom!” He was awesome with accents. He voiced three characters in the game: the doctor, one of the office workers in Act I, and the guard who said “I hate the English”. That was all the same person! Emily: Oh, I didn’t realize those two were the same — I figured he was the same as the office worker, but not that guard! The accent is completely different. Shaun Chasin: Yeah, he’s great — the doctor was more of how he speaks in real life. But yeah, he does a great kind of sinister sound. It all worked out really well. Emily: I wanted to ask about the instruments you used — you mentioned using a wineglass at one point. You had this balance between tonality and atonality, but then you also had a beautiful live string orchestra, and this random series of percussion and synth added in. Shaun Chasin: Right, so that’s one of my favorite things about modern scoring. What happened back in the day is that you had the live, traditional-sounding orchestra, and then for a little while we went reactionarily in the opposite direction, and you got these — often terrible — synth scores. 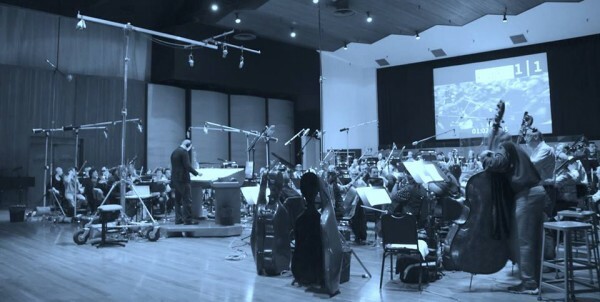 Now, we’ve come to this wonderful place where you have this joining of orchestra and musical sound design in scores. It just this extra layer of interest to the music, so why not use it? When you’re thinking about your orchestral palette, you’re thinking about violin, French horn, and what not. But as for some weird synth thing — it isn’t any more or less valid than the other forces, it’s just a different sound. And so it’s wonderful era we live in where we have access to the full palette of sound, not just orchestra and not just synth, but this full range of sounds. It’s especially great for a horror game, where you’re trying to build the ambience where you want someone to hear five seconds of the music and think, “Oh, we’re in Hektor, aren’t we?”, and it’s easier to do specific-sounding synths now. 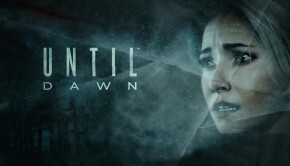 Emily: Did you think about other horror games while working on this one? Shaun Chasin: Not so much other horror games, but rather films. Of course, I played Amnesia: The Dark Descent, and that’s a fantastic game with a wonderful score. But when I was writing Hektor, I was thinking a lot about the movie Splice, composed by a French composer, Cyrille Aufort, and he did this beautiful — almost tragic — string score, mixed with these synth elements. So Splice was the biggest influence for Hektor. Emily: Did you want the soundtrack to be listened to separately? Shaun Chasin: Oh, that’s a good question. When I built the soundtrack album, the music is not at all what you hear in the game’s exact tracks. In the game, the music is shifting so much dynamically, so for the album I did these little audio edits, little simulations to make what is basically a best-case scenario of what you might hear in-game. So you might hear the cool parts of layer one and the cool parts of layer two, and I make sure that you hear them all clearly, instead of in-game where you might hear a snippet of layer one and then a snippet of layer two, so the soundtrack album is meant to be listened to alone. Emily: Well, thank you so much for speaking with us! I loved hearing about the music and the amount of involvement you had with the game that went so far beyond the music. Is there anything you’d like to say to fans or readers? Shaun Chasin: Enjoy the game! [laughs] I don’t know… a big part of my involvement was that there were only five of us, so we were all very much involved. What is really cool is that we were like a little band or like a little Rubycone family, shooting ideas off each other the whole time, and I couldn’t have asked for a better group of people to do this with. Hektor is on sale at Steam now. 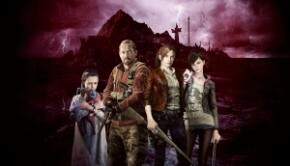 The soundtrack for the game can be purchased as downloadable content. Posted on May 4, 2015 by Emily McMillan. Last modified on May 4, 2015.